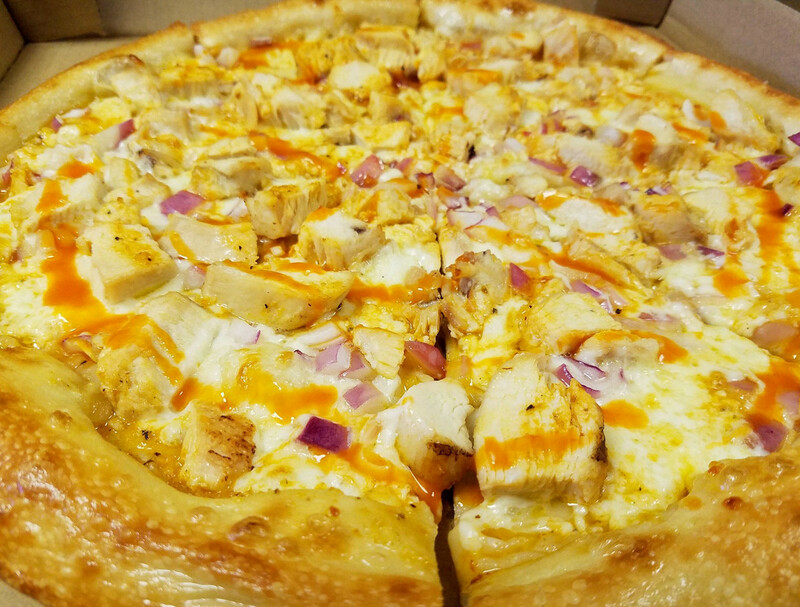 At Classic Crust Pizza we offer best Pizza Phoenix has yet to experience. Alex’s great-great grandparents lived in Salerno, Italy and owned the neighborhood pizzeria. The family recipes have been passed on for generations. The recipes are the same that my family has been using for centuries, made fresh with local ingredients. We make everything fresh by hand every day. Our courteous delivery drivers will bring your Pizza to any address in 85028, 85020, 85032 or 85022. We love Hotel Pizza delivery and offer delivery to the Pointe Tapatio Cliffs Hotel, Embassy Suites Hotel, and Pointe Squaw Peak Hotels. Hello Phoenix! 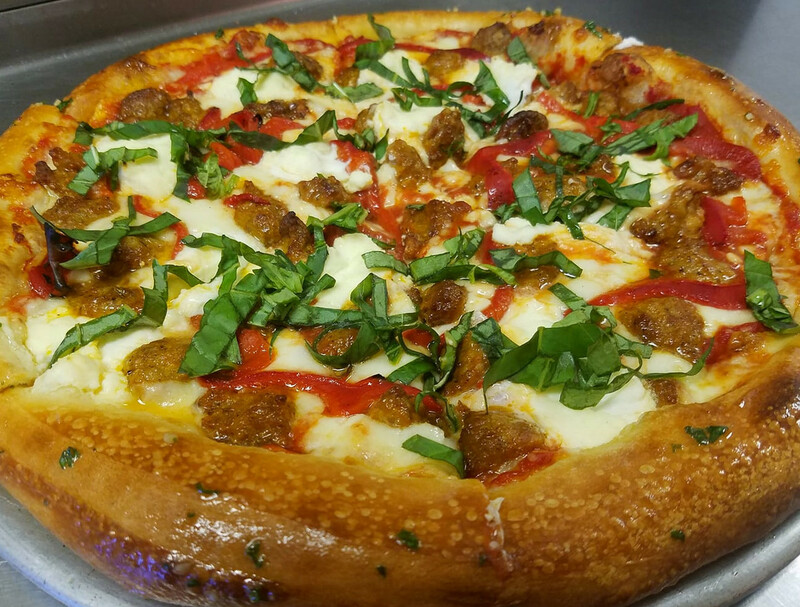 We now provide the best artisan pizza in Phoenix at Cactus & Cave Creek. We look forward to having you join us in our journey, exploring the art of craft pizza making. 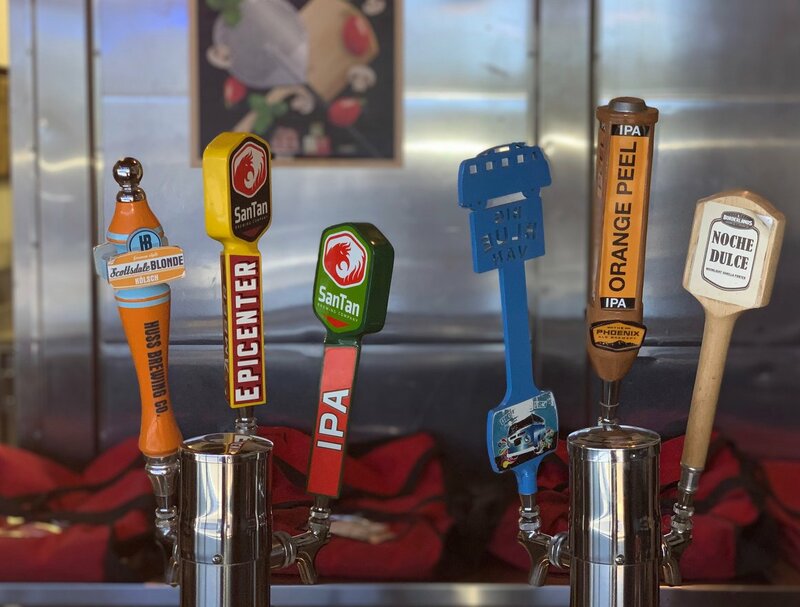 Come enjoy the best Pizza Crust in Phoenix – Now serving local craft beer! 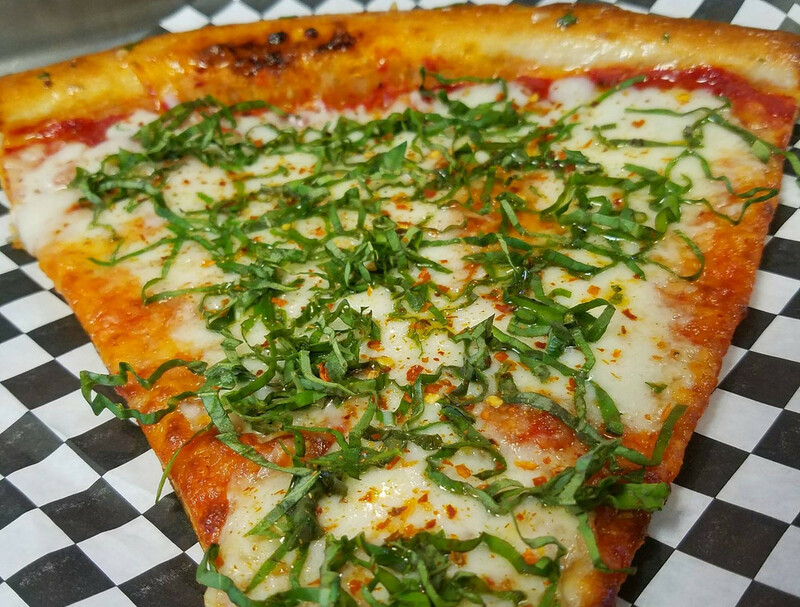 Every hour is Happy Hour at Classic Crust Pizza in Phoenix. Enjoy 1/2 Priced Refills on all Beer and House Wine by the Glass. 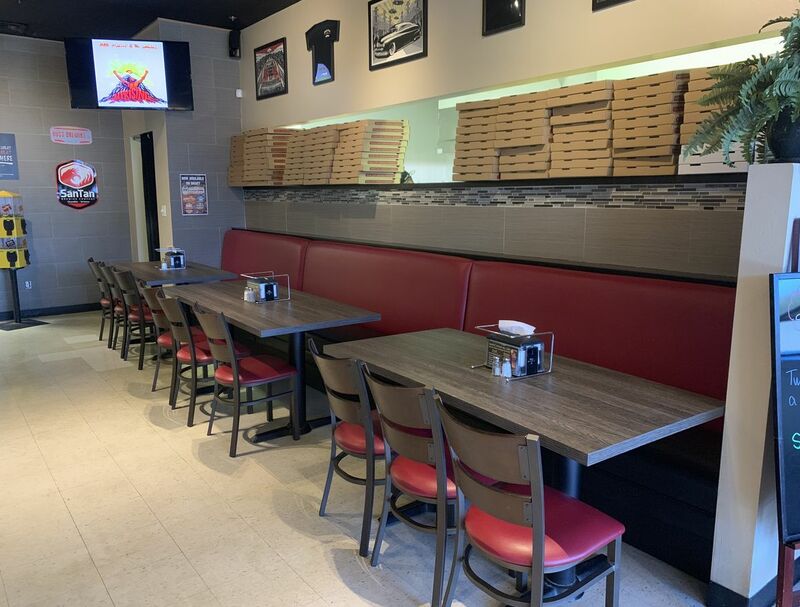 Come Sit at the Bar and enjoy a frosty cold beer while you wait for your take-out Pizza order. Baseball is now in season and we have all the Diamondback games. 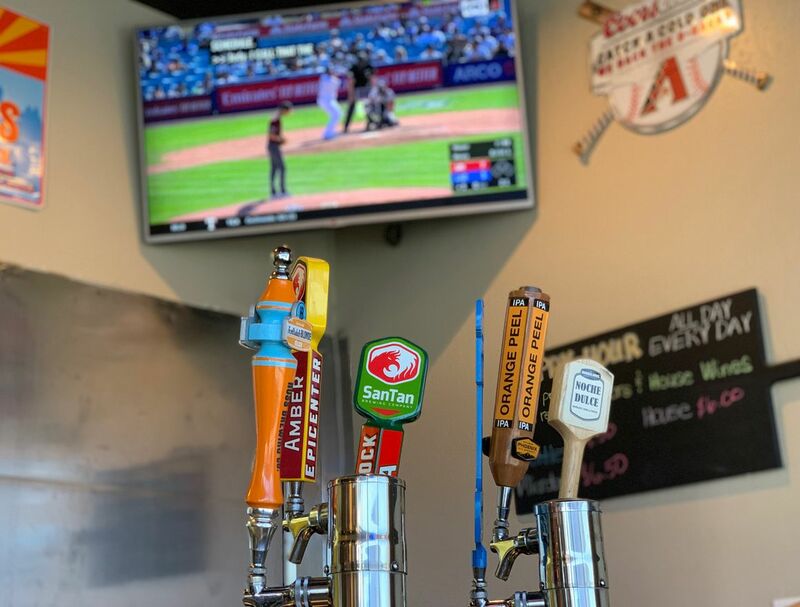 We feature a great assortment of Arizona Craft Beer with beers from Huss Brewing, San Tan Brewing, College Street Brewery, Phoenix Ale Brewery and Borderlands Brewery. 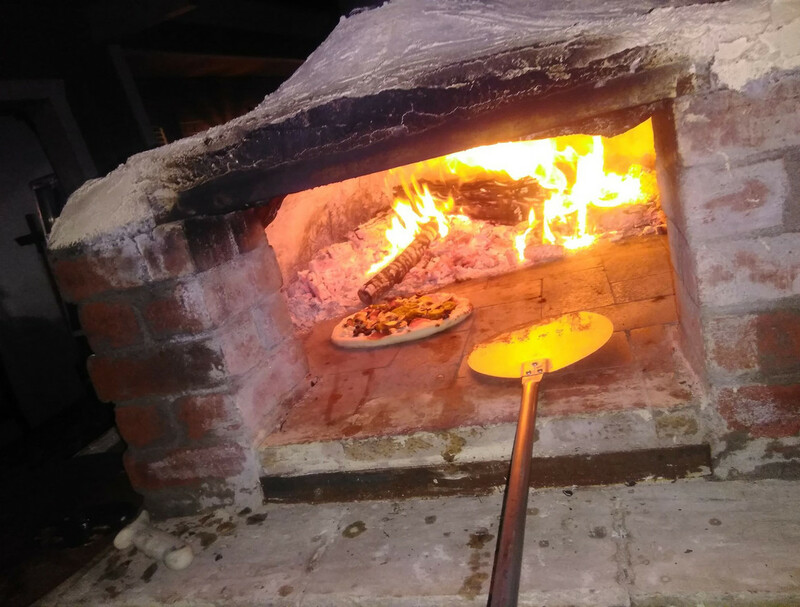 We also offer wood fired pizza catering. With our wood fired catering service we bring the Pizzeria to your back yard. 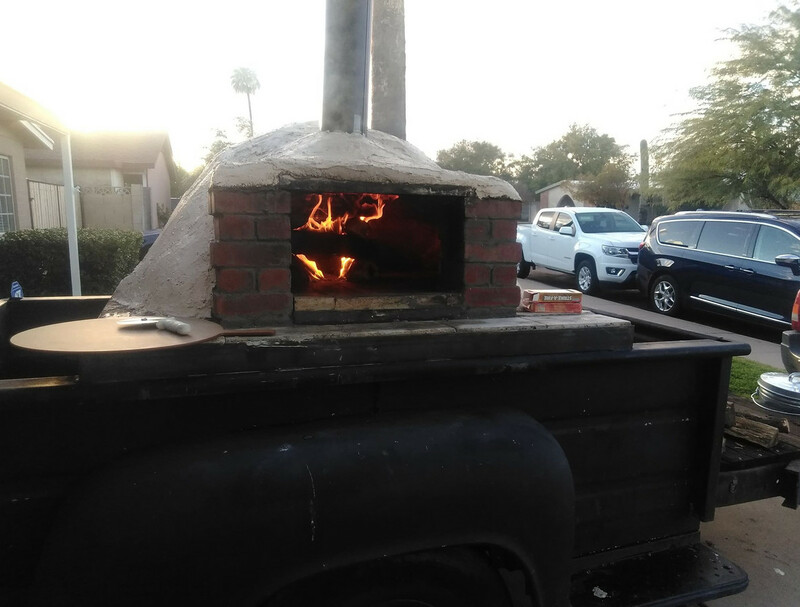 Our portable wood-fired pizza oven is mounted on trailer fabricated from a 1957 Dodge pickup truck bed. 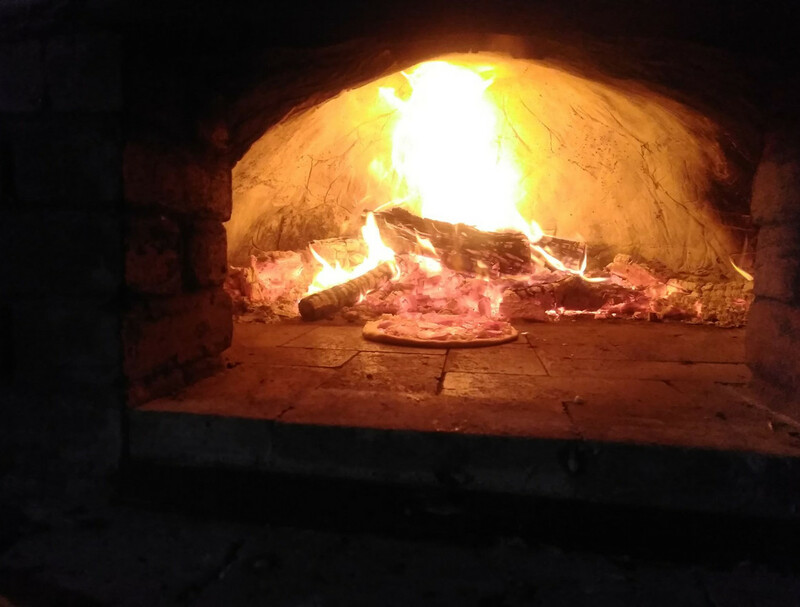 Let us bring the rustic charm of old steel, burning pecan wood, and hand-thrown pizza to your next event. We service the entire Phoenix metro area, including Scottsdale, Glendale, Peoria, Paradise Valley, Mesa and Tempe. 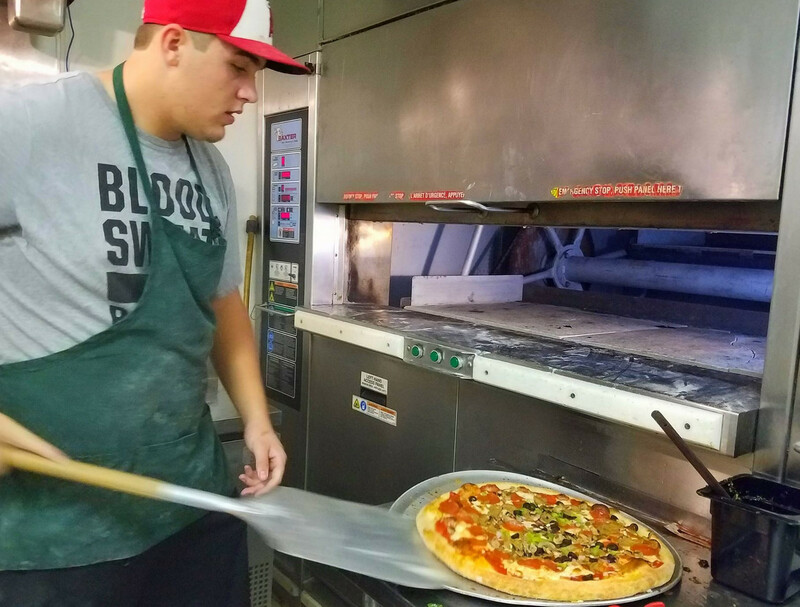 Wood fired pizza catering is great for corporate parties, casual weddings, holiday parties, graduations, birthday parties and other gatherings. Please contact the store at 602-996-1025 or fill out the contact form below to start your booking. Looking for pizza delivery in Phoenix? Forget ordering low quality pizza from the big chains! 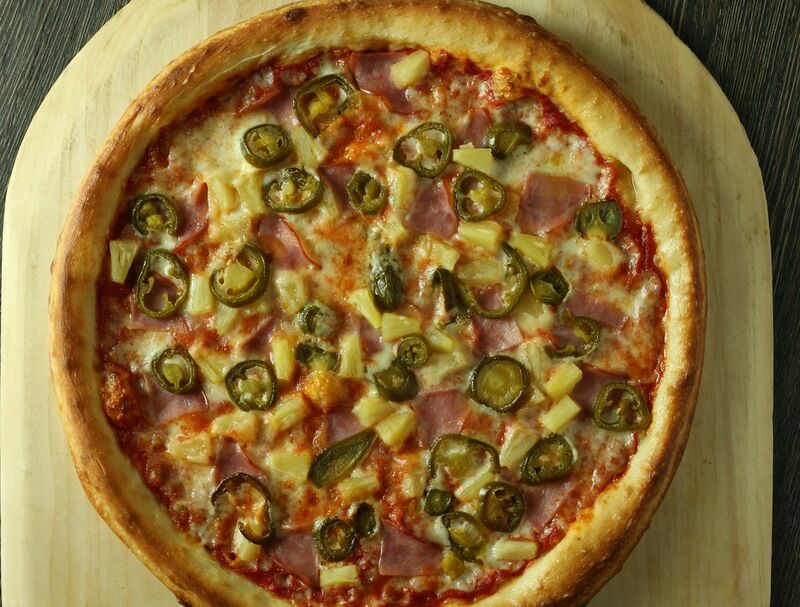 When you want to get served like a king then pizza delivery from Classic Crust Pizza will be your best choice. Simply select "Delivery" at the checkout screen and we hope you'll appreciate our pizza delivery service. Everything made from scratch daily from fresh ingredients. 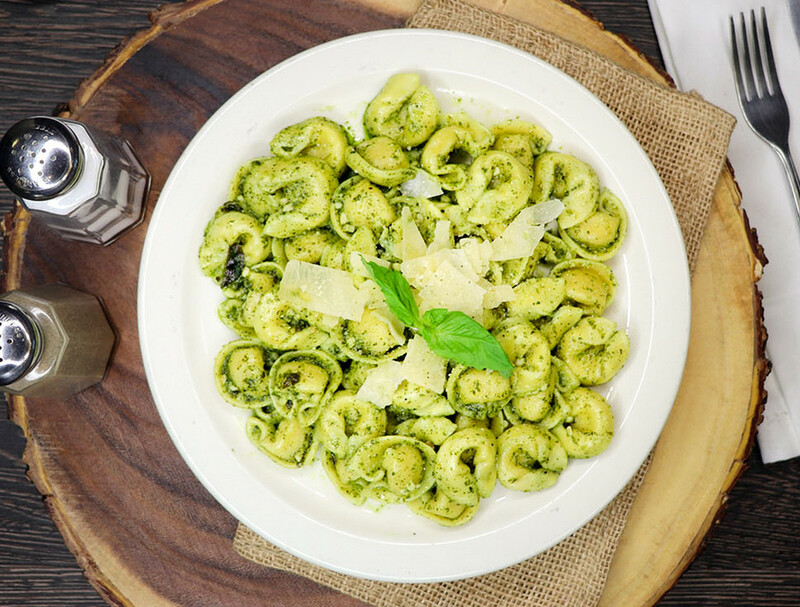 Learn more about our Pizzeria on YouTube!